Glide is pleased to announce the 19th Annual eBay for Charity Auction for Power Lunch with Warren Buffett. Offered through eBay for Charity, bidding for this year’s auction opens on Sunday, May 27 and runs until Friday, June 1. The 2017 auction brought in $2,679,001 for the winning bid to support GLIDE’s mission of providing San Francisco’s most vulnerable residents with unconditional support and love. The annual Power Lunch with Warren Buffett is made possible through the support of eBay for Charity — one of the world’s largest charitable platforms, which helps millions of eBay users support the causes they care about. To date, more than $26 million has been raised, which is the only charity power lunch offered by Mr. Buffett. 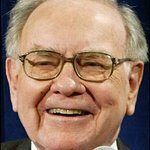 The winning bidder and up to seven friends will have the opportunity to dine with Mr. Buffett at Smith & Wollensky in New York City. The Annual Power Lunch with Warren Buffett Charity Auction was conceived in 2000 by the late Susie Buffett, who long maintained a strong affinity for GLIDE’s efforts to provide dignity and opportunity to all people, regardless of income, gender, religion, political persuasion or any other factor. Over the past 18 years, the winning bids have ranged from $25,000 (prior to eBay’s involvement) to $3,456,789. The Power Lunch often brings in over 10% of GLIDE’s budget. Funds raised go directly to support GLIDE’s programs, which help people overcome hunger, poverty, homelessness and debilitating health challenges as well as social isolation and disempowerment. Last year’s auction brought in $2,679,001; the past decade has seen all winning bids come in at more than $1 million. For more information about GLIDE’s 19th Annual eBay Auction for Power Lunch with Warren Buffett, please contact GLIDE at (415) 674-6060, Buffett@GLIDE.org or visit eBay.com/GLIDE. For more information about GLIDE please visit GLIDE.org..